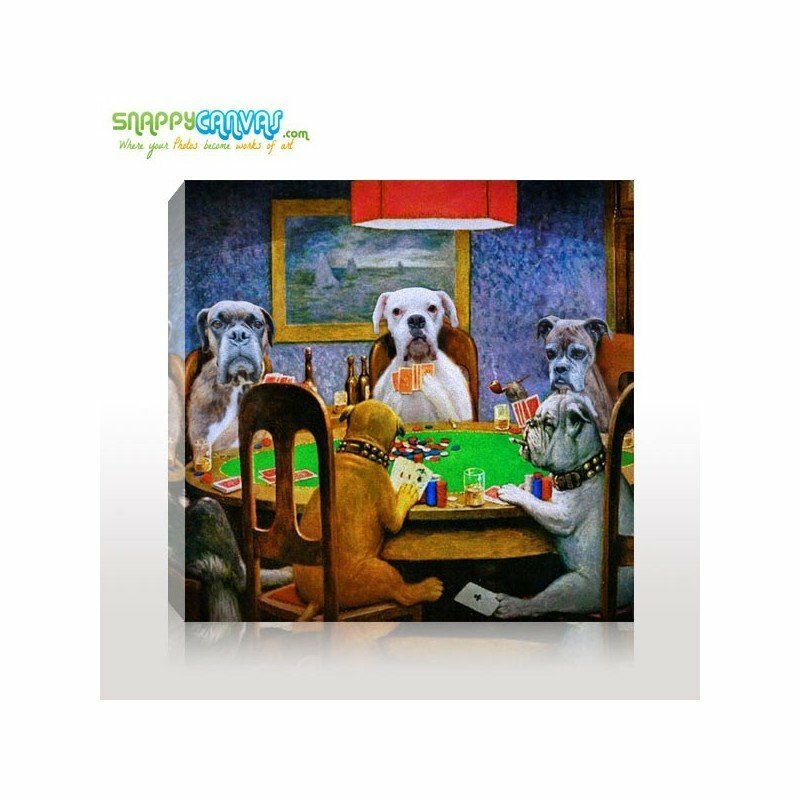 Now your dog can play poker too! Send us a dog photo, or pet portrait and you can have a classic and popular artwork personalized to include your dog portrait. 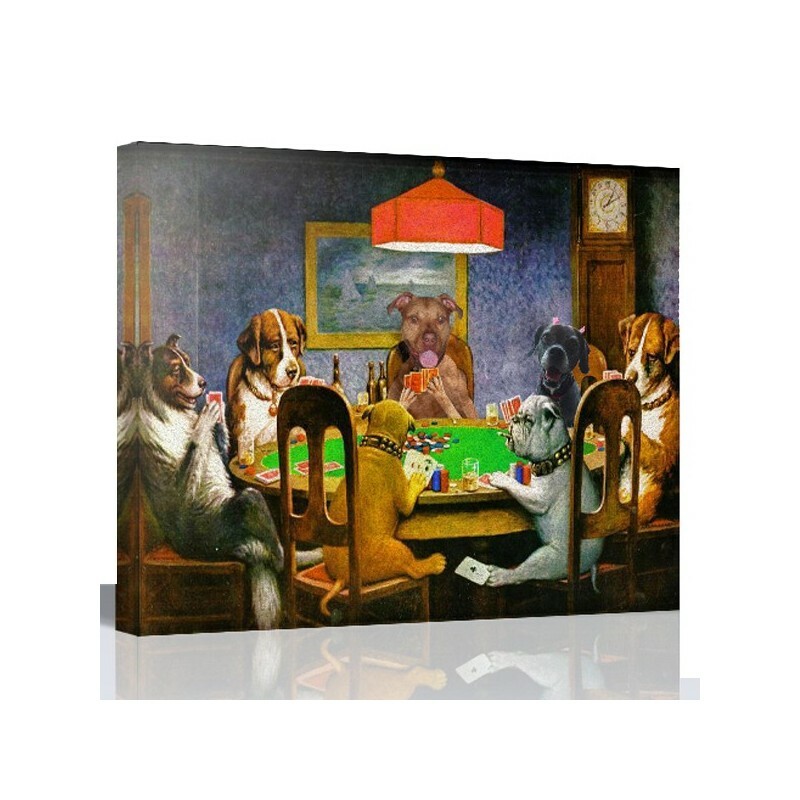 Perfect for your game room or billiard room. This is a great gift for guys. Select how many faces are to be painted. Select your canvas size. Bigger is usually better. Choose a Finish for your Canvas. Yes to receive e-mail Proof before shipping (Recommended). No if you trust the artists and need a faster delivery. By buying this product you can collect up to 39 loyalty points. Your cart will total 39 points that can be converted into a voucher of $8. Your picture was successfuly uploaded! Click the save button below, to save it! First login, select album, click on the image, to import it, then hit the save button below. Click on the image, to import it, then hit the save button below. 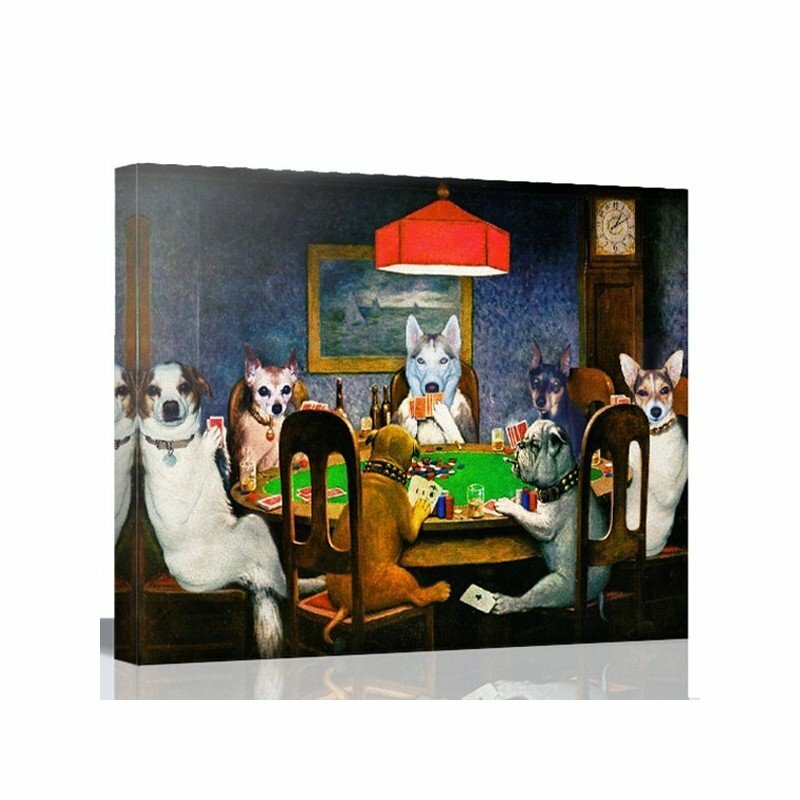 The Poker Face Style of printing photos to canvas makes use of the very popular painting series by Coolidge for a specific merchandise. In this series of paintings, dogs can be seen doing ordinary human activities such as playing pool, having a game of cards and generally relaxing after a day’s work. The paintings no doubt tickled America’s funny bone and soon became a favorite among the average working class. It adorned many a home, making it one of the most popular home décor in recent years. 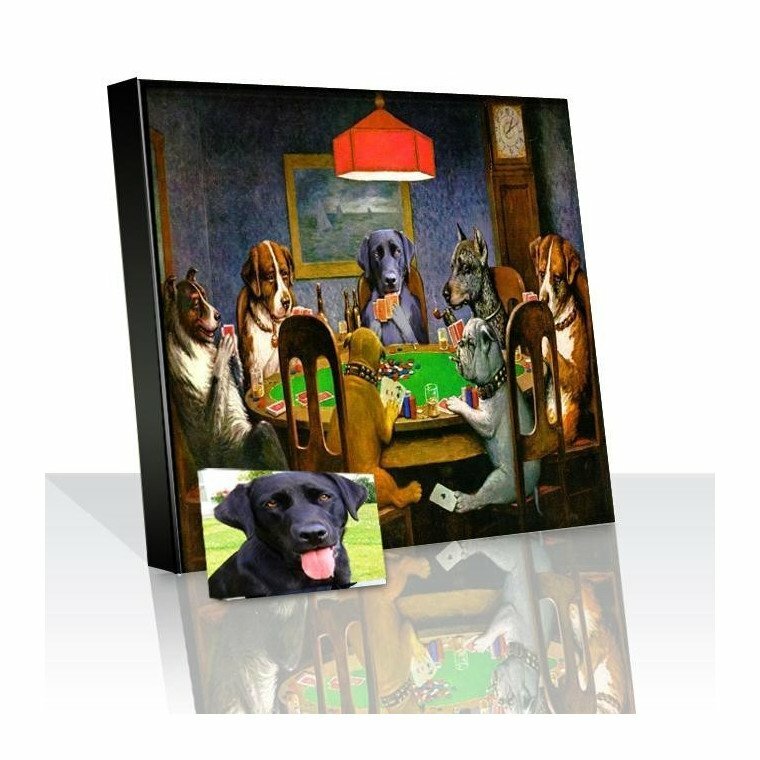 Do one better by having your very own Coolidge painting and pet portrait in one, when you print your photos to canvas using the Poker Face Style. 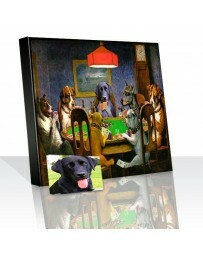 Have your favorite collie as one of the poker players in the Dogs Playing Poker for a very customized home décor. This style is very fun and shows off your playful side, and at the same time, your love for your pet. Just like a Coolidge painting, this canvas photo is meant to last for a long time. 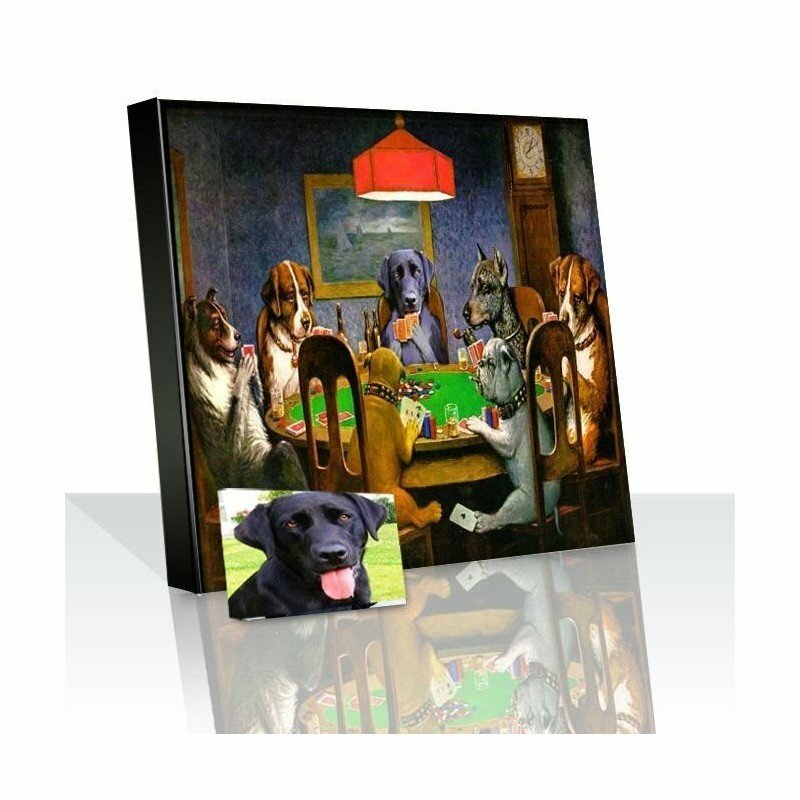 The materials used in all of our canvas photos are of excellent quality, and the printing uses only the latest technology, ensuring that the colors and the images will be as vibrant in the next decade as they are now. 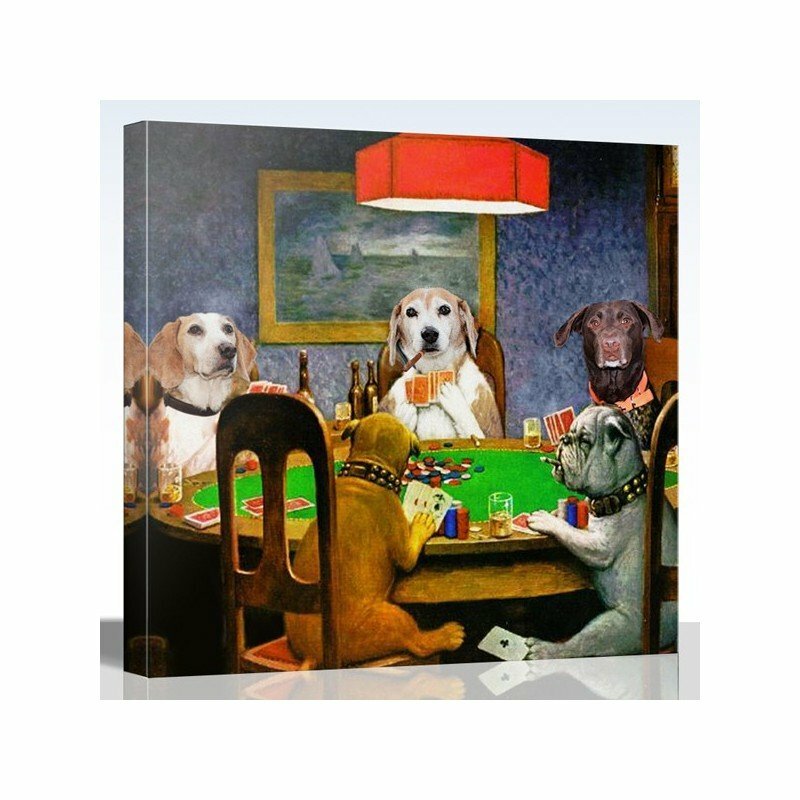 Your pet portrait done in the Poker Face style will surely be a timeless work of art you and your loved ones can enjoy over the years. So start uploading your photos now, let us know of any special instructions you require and we will be on our way towards delivering you another quality product from Snappy Canvas. They were very helpful for changes I wanted in the picture. Overall great experience.